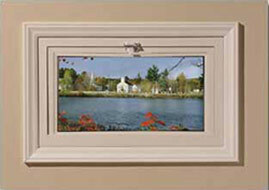 New basement windows can help turn your dark basement into one of your favorite rooms in the house. Just think of the enormous amount of natural sunlight, your new basement windows will allow into your dark, below ground environment. Take back all of that wasted space in your house, while increasing your property value. A family room, guest bedroom, kids playroom, or dad's "man-cave" are all possibilities with the impact new windows will make in your family's basement. Hopper windows tilt in from the top with a gentle tug on the handle. 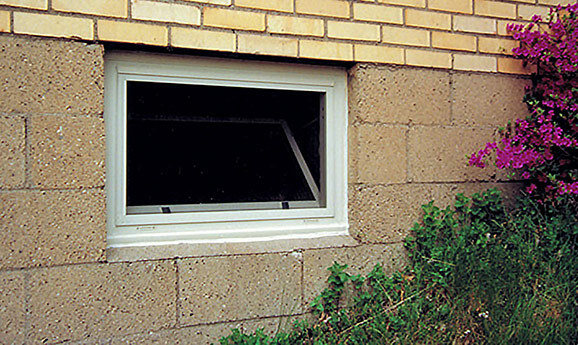 Hopper windows are the perfect solution for basements because the direction of the tilt keeps people from banging their head on the corners of the window and also helps keep leaves and other debris from blowing in. During the Summer months, you don't want to open your basement windows when the tempuratures are high, as condensation will occur, raising the moisture level in your home. However, accessibility and being able to air-out your basement in the Spring and Fall are reasons why thousands of homeowners choose to have their basement windows replaced each year. 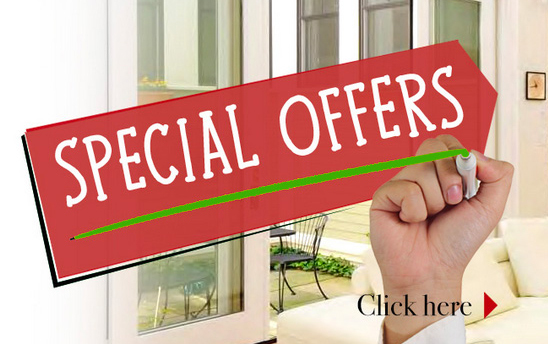 Our highly trained window experts can help you make the right choice for your replacement windows, upstairs and down. For more information and a Free presentation on our Basement Windows, or any of our other upstairs window products call us at 614-798-1133 or contact us today.